My daughter Melissa just received her Master’s Degree in Education. Words cannot express how proud I am of her achievement. After the Graduation Commencement we celebrated with family and friends and lots and lots of delicious food. I baked all of the desserts for this momentous occasion including Kourambiethes and Fenikia (sometimes spelled Finikia). Fenikia and Kourambiethes are Greek specialties and reserved only for very special occasions. 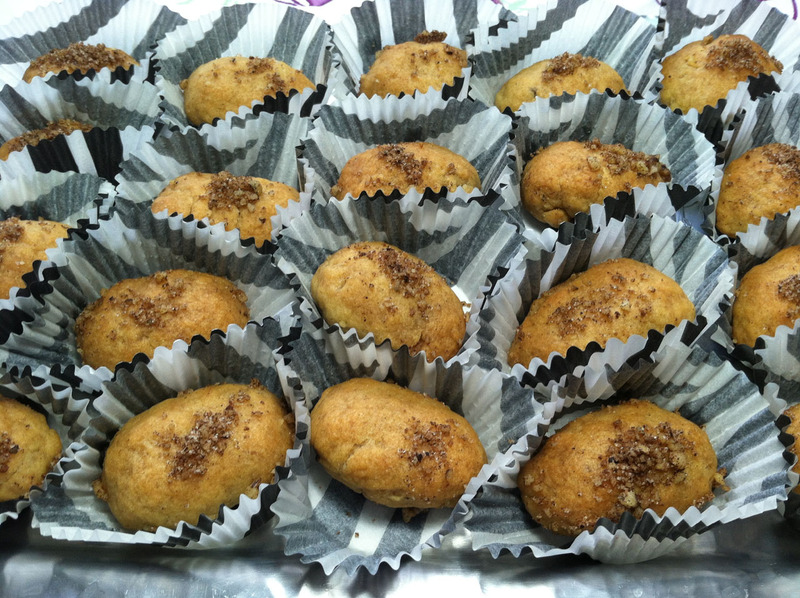 Kourambiethes are traditionally served as good luck cookies making their appearance at special milestone events. 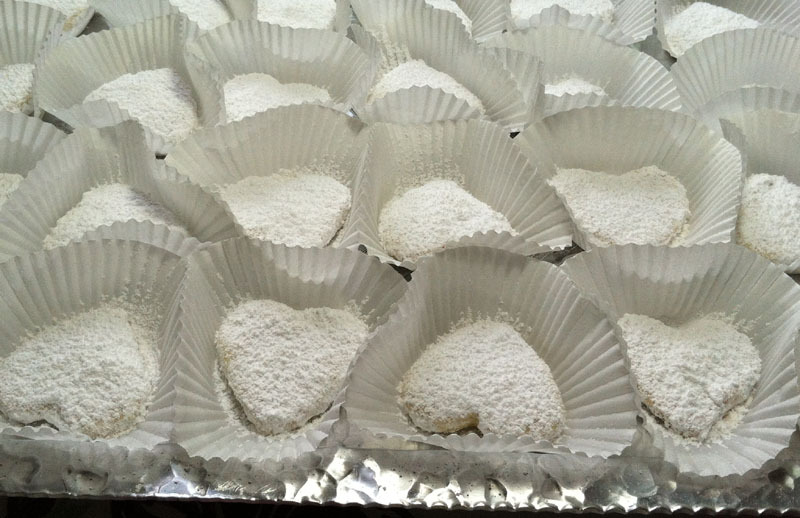 These heart-shaped, butter cookies are drenched in powdered sugar and melt on your tongue as you eat them. It is impossible not to make a lot of these special cookies. The recipe for these traditional cookies was handed down to me by a dear friend and yields 90 – 100 pieces. Fenikia are egg shaped cookies filled with ground walnuts and cinnamon then dipped in thick syrup. The same friend gave me this authentic Greek recipe which yields 100 -120 cookies. These are absolutely delectable and by far Melissa’s favorite cookie. These are not only delicious but very time consuming to make. It seems that the wait was well worth it as there was quite a long wait. I have not made these cookies since Melissa graduated from High School! Celebrating her Master’s Degree was the perfect occasion to bake them again.